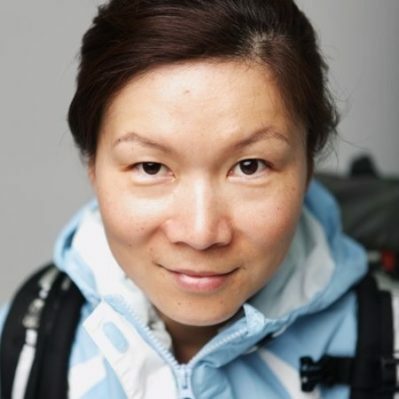 An accomplished mountaineer who has reached the North Pole, the South Pole, and all of the Seven Summits, Lei Wang, WG’03, spoke to a packed audience at Penn Wharton China Center in Beijing about how to reach your highest potential. When Lei Wang, WG’03, began pursuing her MBA at Wharton in 2001, mountain climbing was far from the mind of the self-described bookworm. Growing up in China, Lei never dreamed she’d one day climb the world’s tallest peaks. Her first exposure to mountain climbing came during a retreat for her Wharton Leadership Venture program. 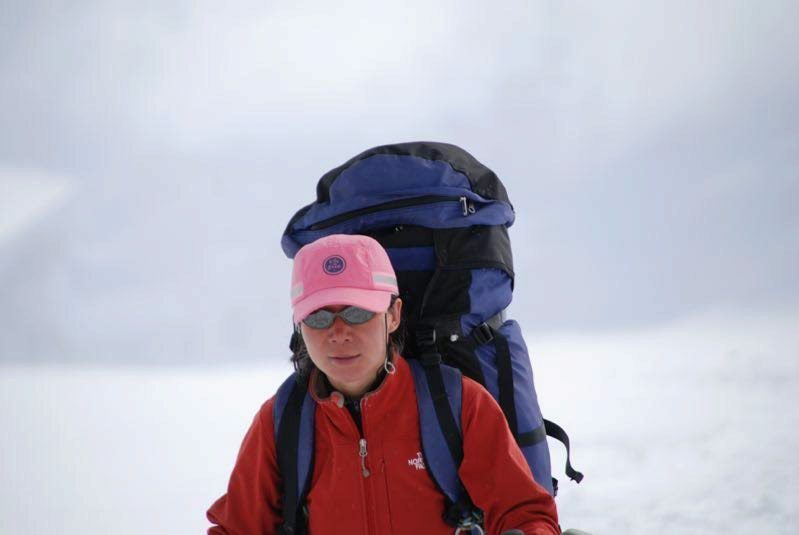 Lei assumed that 2002 expedition to Mount Cotopaxi in Ecuador would be her first and last, but instead she discovered her passion for mountain climbing and started on a long and unfamiliar road that most are too afraid to explore. 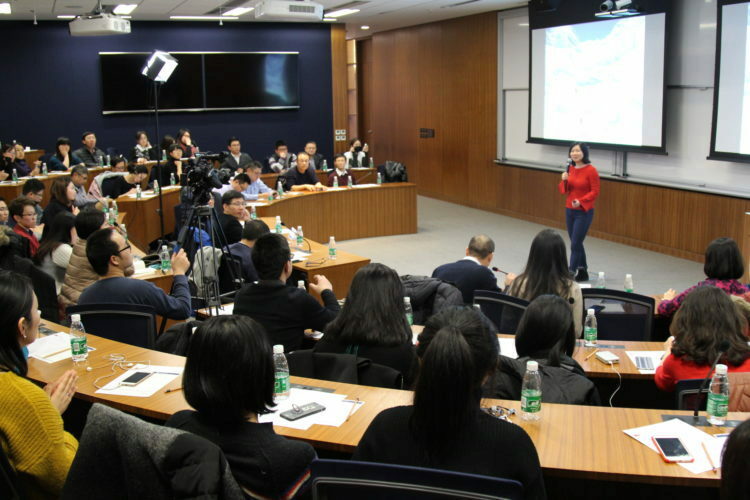 On February 6, she spoke to a packed audience of more than 80 alumni and guests at Penn Wharton China Center in Beijing about her journey from MBA student to one of the world’s most accomplished adventurers. Along this journey, she developed the mentality that anything is possible. It was this inner strength and determination that led Lei to set her sights on climbing Mount Everest. To pursue her climbing dream, Lei completed six years of intensive training, building up both her mental and physical strength. But she was still nowhere near the level of a professional athlete. She was told that she was the least likely person to succeed in the climb. “In fact, all of the Sherpa, the Nepalese mountain guides, secretly betted that I would be the first one to quit,” Lei said. But she didn’t give up despite many setbacks. She maintained her high spirits and didn’t let the low expectations of others put her down. It was with the help of this positive attitude that Lei successfully completed her two-month Everest expedition on May 24, 2010 — and achieved her goal of the 7+2 Adventure Grand Slam. 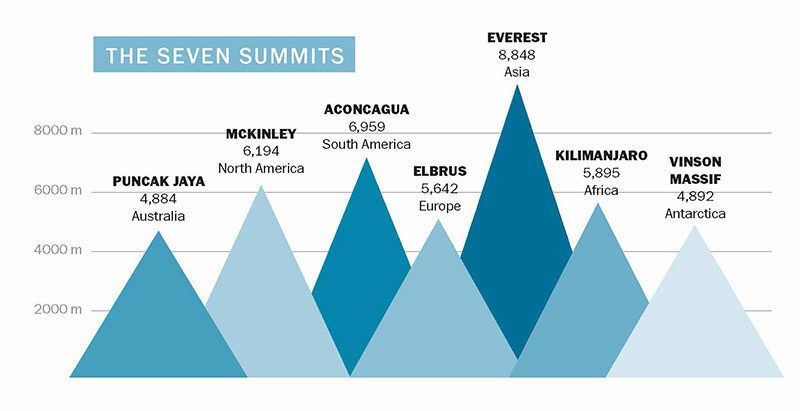 The Grand Slam involves climbing the Seven Summits — the highest mountains on each of the seven continents — and reaching both the North and South Poles. Lei is only the tenth person in the world to successfully meet the challenge. “For me, the significance of climbing Mount Everest lies not in the height or the fame of this mountain, but in how I persevered against all odds on this journey,” she said. Lei’s success didn’t begin and end with her Everest climb. Through her success, Lei has shown that an ordinary person can achieve the extraordinary. She now wants to be an encouragement for others and to help them realize their full potential. When asked about the sacrifices that she had to make as she followed her mountain climbing dream, Lei acknowledged that her adventure didn’t come without a cost. While peers were earning good money and building up their career, she ran up debt living on borrowed money. She knows life is not weighed down by a desire for money or a particular job at the end of the day. She invested her time in being true to herself as she climbed to reach her dream. Lei said her experience at Wharton has been crucial for her success, as it helped her broaden her horizons, change her mindset, and realize her potential. 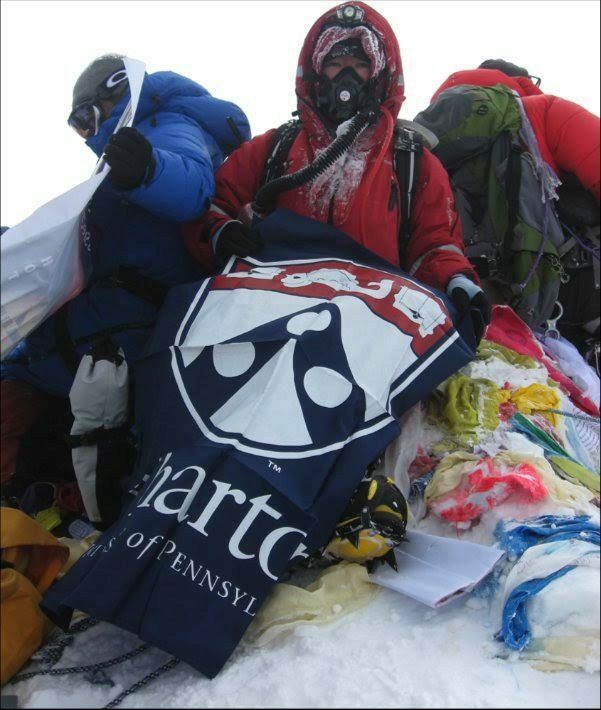 Lei proudly showed the audience a photo of the Wharton school flag she took to the summit of Mt. Everest. Lei thanked Penn Wharton China Center for organizing the event. 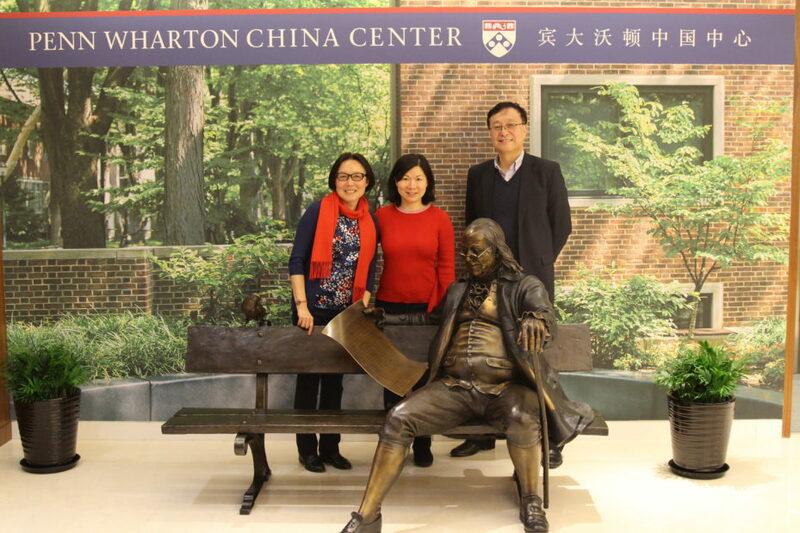 She said it was good to see its close connection with the Chinese alumni, and the role it plays as a bridge between Penn, Wharton, and China. Lei with Sherry Jiang (left), who completed her PhD in chemistry at Penn in 1991, and PWCC Managing Director Gary Hua, who received his MS in computer science and a PhD in operations and information at Penn. To learn more about Lei’s recent news and activities, visit journeywithlei.com. The University of Pennsylvania and the Wharton School founded the Penn Wharton China Center as part of their commitment to enhancing learning and research opportunities for the benefit of Penn’s faculty, students, alumni, and friends in China.